Support JASWDC – The Japan-America Society of Washington, Inc. 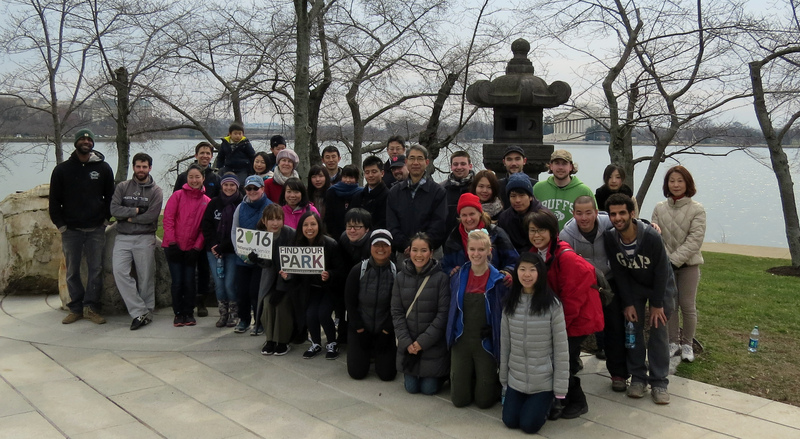 Thank you for supporting our mission to promote and strengthen U.S.-Japan grassroots relations in the Greater Washington, DC area through educational and cultural programs. Gift someone a semester in our Japanese language school or a session of cultural classes like ikebana, calligraphy, or yoga in Japanese. This is a great way to encourage someone to start or continue studying the language, or to help them with a hobby they’ve always wanted to pursue. You can check if language school registration is open here, or see our Upcoming Events to look at the cultural class schedule. Purchase an individual, student, senior, or family membership with the Society. This gives one or more people the opportunity to receive invitations to members-only events and discounts on our programs. You can purchase membership here. Donate $65 to cover a student’s registration fee for the National Japan Bowl. Your gift directly impacts a students’ participation in the competition by covering their meals and Japan Bowl t-shirt for the 2-day event. You can donate $65 here and specify “Japan Bowl registration” in the contribution field. Request a Japan-in-a-Suitcase visit to an elementary or middle school, library, Girl Scout troop, homeschool group, etc. Our Japan-in-a-Suitcase team travels to all metro-accessible locations to share Japanese culture and activities with students K-8th grade. Volunteer. Volunteering is one of the best ways to give back to your community and to express your love for Japan. Reach out to us via info@jaswdc.org to volunteer in the springtime for the Japan Bowl or Sakura Matsuri, or sign up to be a Japan-in-a-Suitcase volunteer. We reach out to this database when we need help with other events as well. The Japan-America Society of Washington DC depends on your support to help us create and maintain programming that fosters the American-Japanese friendship. We work hard to create local programs and events that promote cultural diplomacy efforts between the U.S. and Japan. While relationships between countries cannot prosper without the involvement of the government and a focus on public policy, it is the people-to-people connections that inspire change at the national levels. The Society is the only institution in the area that is dedicated to furthering grassroots U.S.-Japan relations through educational, cultural, corporate, and public affairs programming. Since 1957, the Society has dedicated itself to helping people remember, renew, and rejuvenate their connections with Japan. Our programs give back to the people in this community in so many ways. Our language school students find themselves better at Japanese, and become candidates for Japan-related jobs. National Japan Bowl alumni go on to study Japanese in college and study abroad because the competition helped them build confidence. Japan-in-a-Suitcase students find themselves more culturally aware and interested in Japan. The Society’s members find friends, new hobbies, connections, and a new network of Japan-related people and organizations. 2017 was the Society’s 60th anniversary. Our landmark year of celebration has ended, but our accomplishments in the field of grassroots U.S.-Japan relations continue to grow. We have always been here to bring Japan to your community. We have always been here to help care for the roots that you already have with Japan, or to assist you in creating new ones. Our vision for every year going forward includes you. We are truly grateful for your donation and your support of JASWDC. If you have any questions, please e-mail info@jaswdc.org.